Jill's kids have a great sense of adventure and humor. 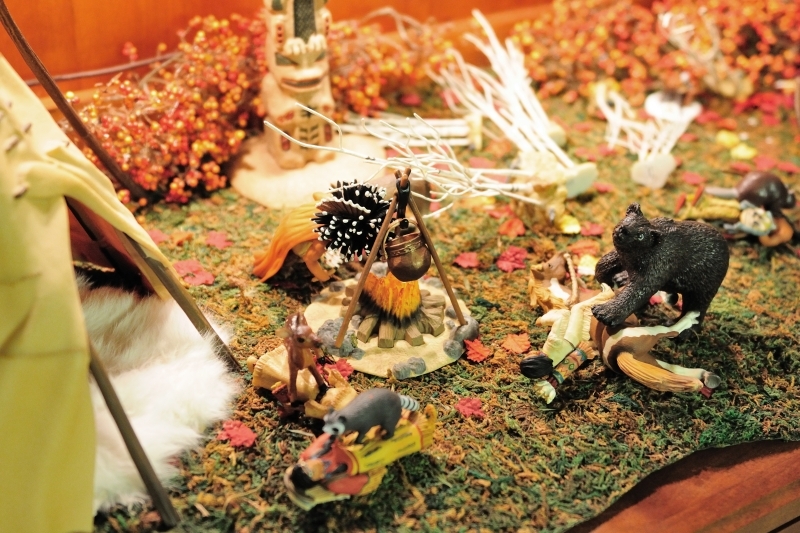 Example - Jill set up an Indian Village scene off her kitchen to commemorate Thanksgiving. While we were in Vegas, it appears the boys rearranged thing in the village - the animals revolted and attacked the villagers. 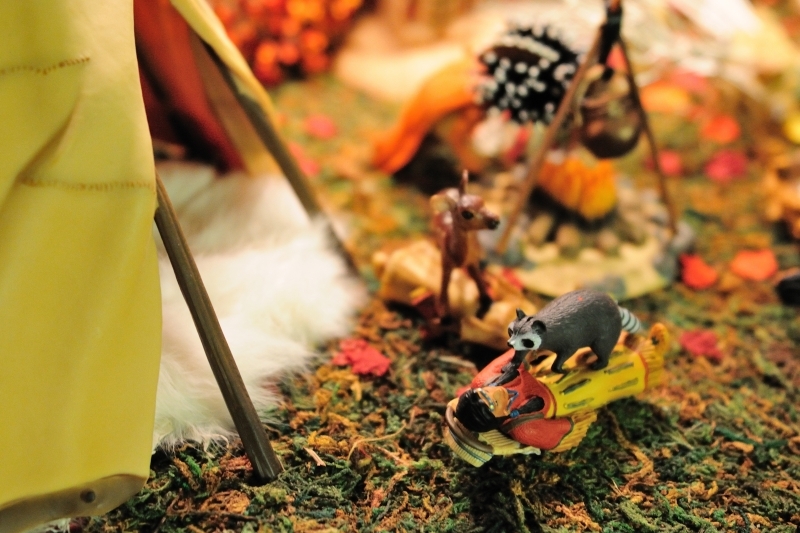 From the raccoon to the bear - all the animals can now be found on top of a person in the village. Even the turtle was found on top of a papoose.